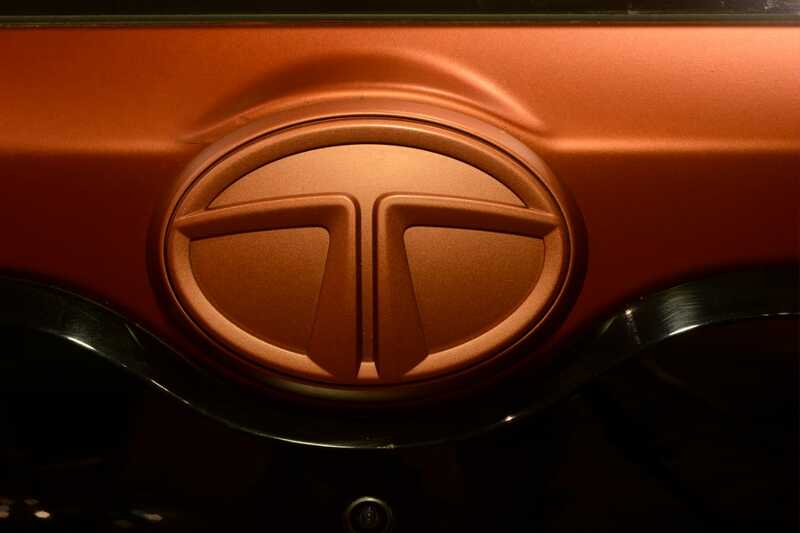 S.R Trans Cars, a Coimbatore-based Tata Motors’ dealership, has displayed a customized version of the Tata Nexon compact SUV. 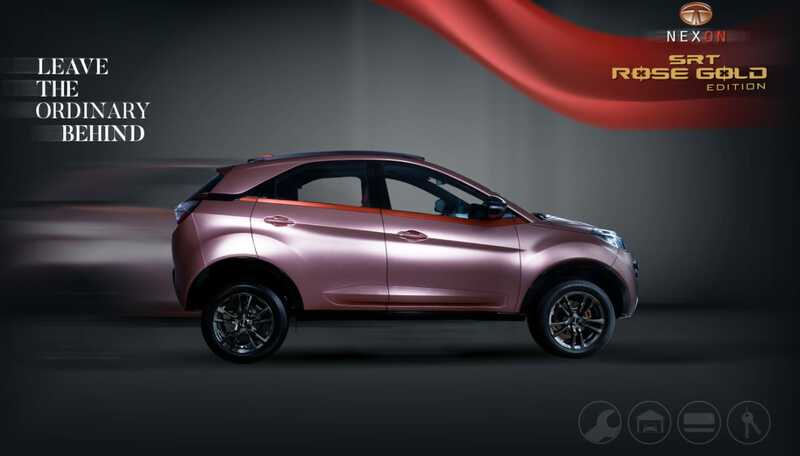 The modified Nexon by the dealership sports a Rose Gold paint scheme on its exterior. 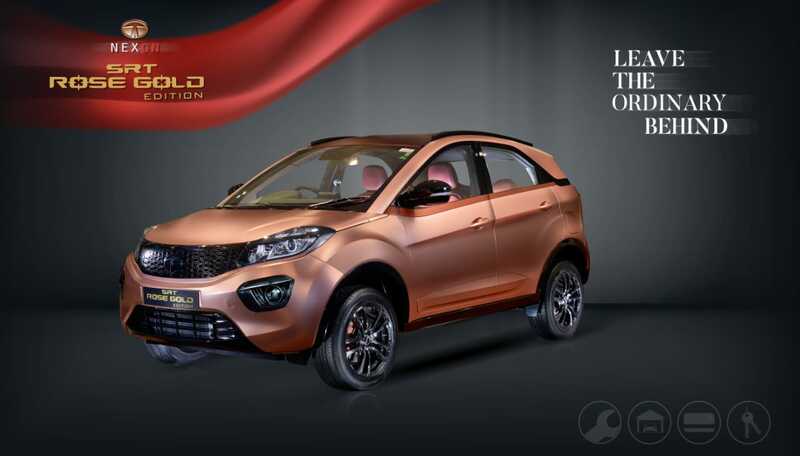 The interior of the Tata Nexon Rose Gold edition also gets an updated colour theme to complement the modified exterior. 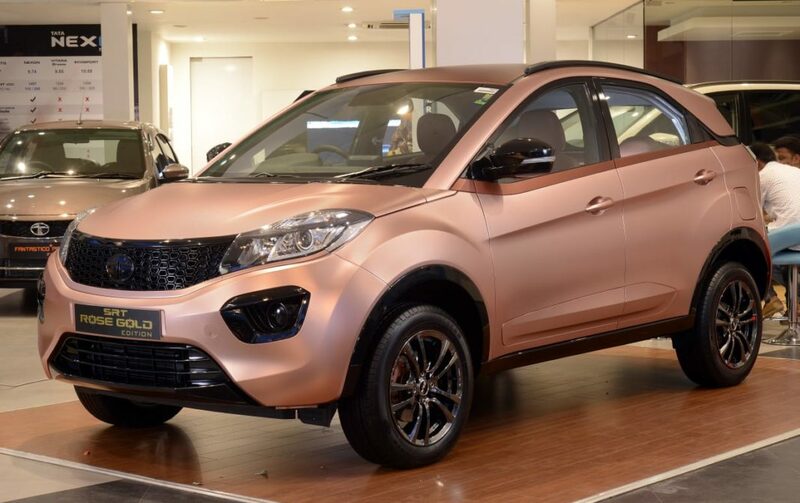 While the normal Tata Nexon can be bought in a dual-tone paint scheme, this Nexon has a rose gold colour that makes it look totally unlike the standard models. At the front-end, it gets a blacked-out grille and a blacked-out air dam. 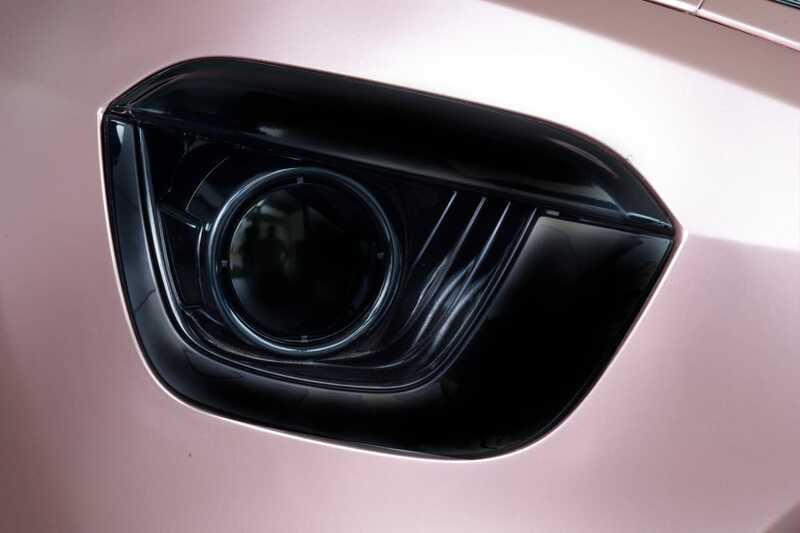 In the side profile, you get a darker shade of rose gold on the window line. The roof rails get a black colour. The alloy wheels also have a black colour. The rose gold theme has been taken so seriously that even the badges have been painted in the custom shade. The interior also gets a rose-gold-like paint scheme on some of its sections. 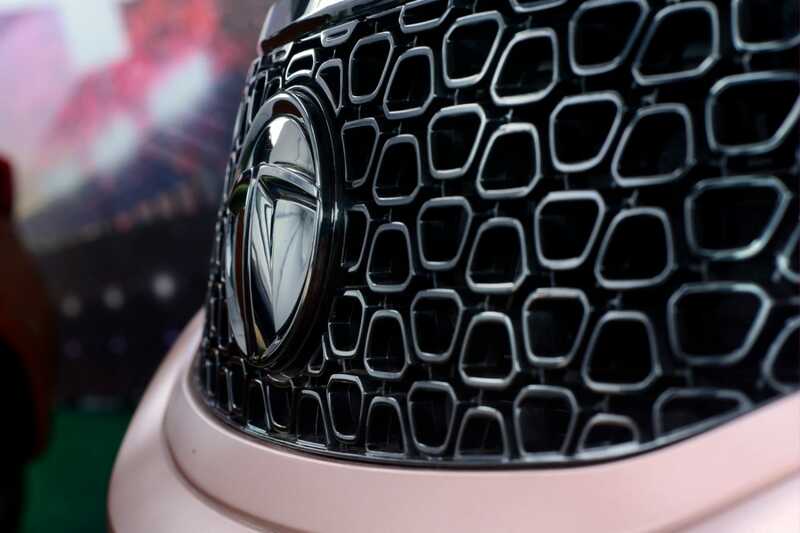 The dual-tone paint scheme has a dark grey-rose gold colour theme that makes the cabin look very upmarket. The Tata Nexon Rose Gold Edition seems to be in the highest trim level. The Tata Nexon is on sale in a price bracket of Rs 6.16 lakh to Rs 10.59 lakh. It’s available with a 1.2-litre petrol and a 1.5-litre diesel engine. Both the engines offer a 6-speed manual and a 6-speed automatic transmission. The 1.2-litre petrol engine of the Nexon is a turbocharged unit that outputs a maximum power of 108.5 bhp and a peak torque of 170 Nm. On the other hand, the 1.5-litre turbocharged diesel engine of the Nexon produces a maximum power of 108.5 bhp and a peak torque of 260 Nm. The Tata Nexon is available in 5 trims – XE, XM, XT, XZ, XZ-Plus. 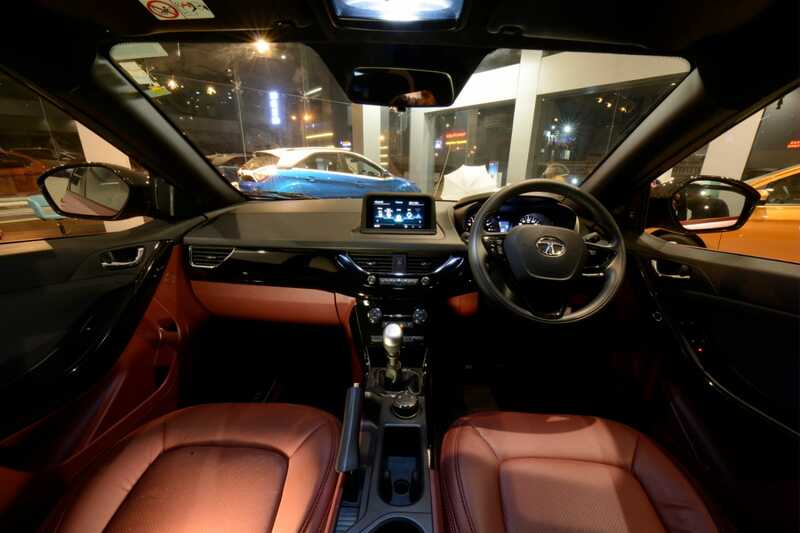 The top-end trim offers a long list of features that includes a Harman-sourced touchscreen infotainment system, Super drive modes, automatic climate control, electrically adjustable outside rear view mirrors, and rear AC.